Mahabalipuram - An ancient town developed by Pallavas in Tamilnadu, The main deity of this very old temple is Vishnu/Narayana who is depicted as resting on the floor. Sleeping pose of deity is bliss to see. 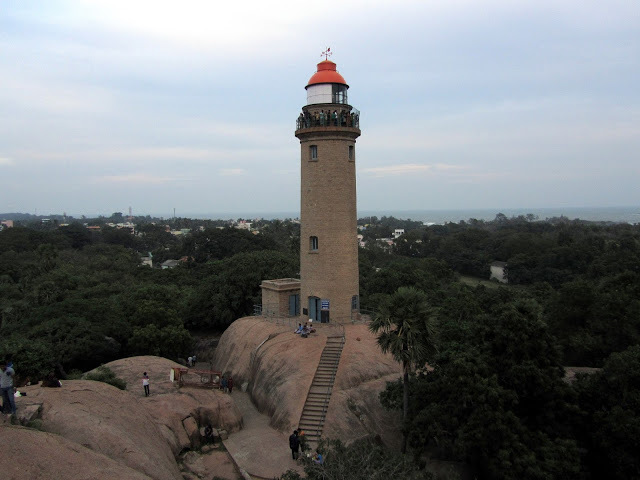 Mahabalipuram is also known as Mammalapuram. 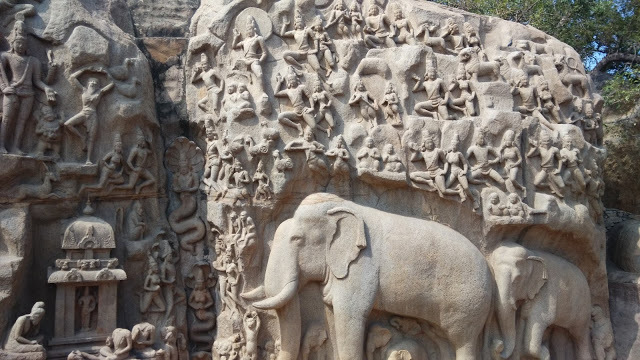 Mahabalipuram has many historical monuments which are carved out of rocks. 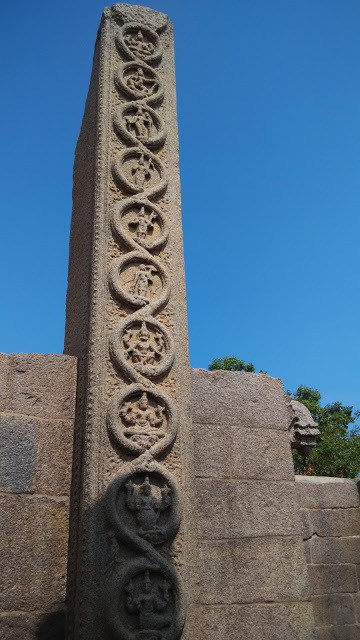 These monuments were carved during Pallava dynasty. These group of monuments has been classified as a UNESCO World Heritage Site. 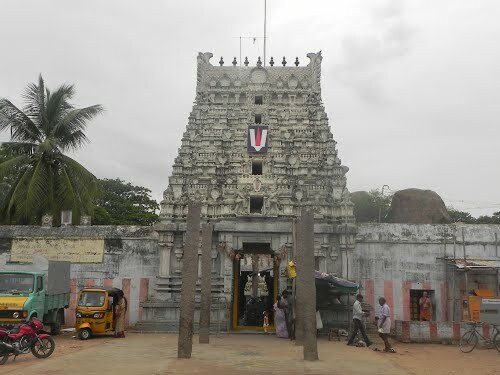 After having darshan of Sayana Perumal we headed towards this World Heritage Site, situated around the temple. While walking towards those monuments we saw many arts and sculpture shops on both sides of the road. 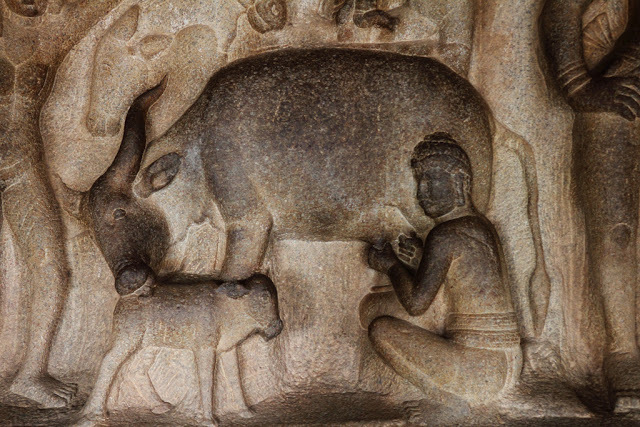 Beautiful paintings, attractive sculptures indicate the talent of artisans and craftsman around Mahabalipuram. A short walk from Arjuna's penance we can see the Varaha cave temple - one of the many monolithic cave temples in this site. 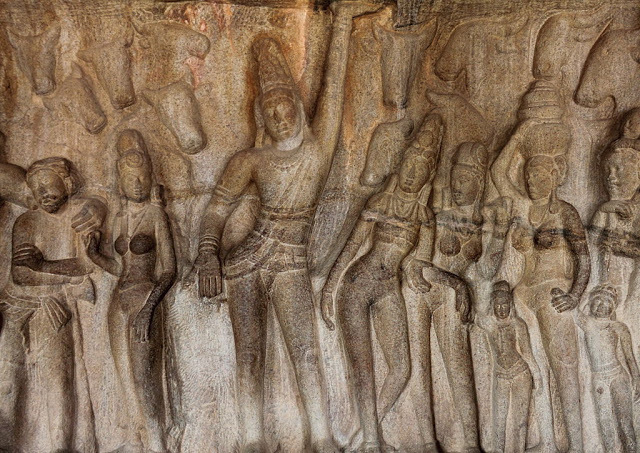 Carvings here depict the story of Lord Vishnu's Vraha incarnation, which rescued the earth from demon Hiranakshya. 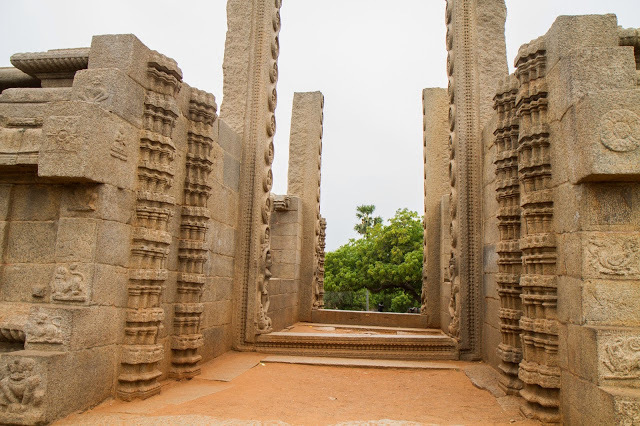 it is a good place to spend some time admiring the Pallava's architecture. It is a solid granite temple just beside the Arjuna's penance. 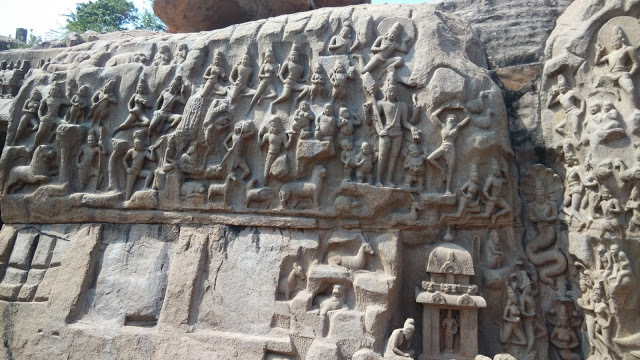 Carvings inside the Krishna mandapam depict stories of Lord Krishna mainly Krishna lifting Govardhana Hill to protect cattle and villagers from a storm sent by Indra. 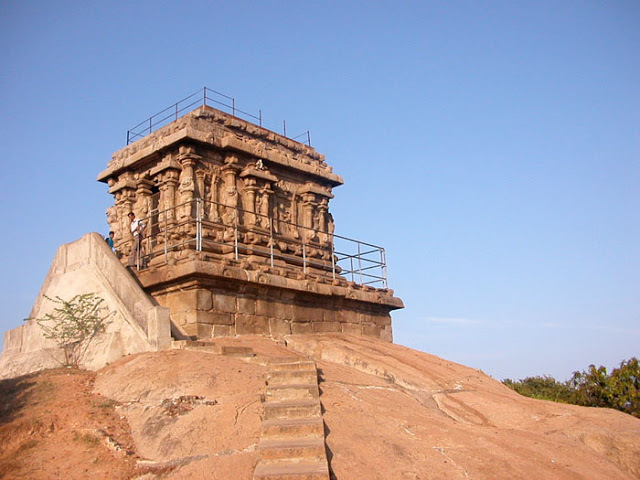 These two are the must see attractions of Mahbalipuram. Wandering around this historical site is an unique experience. Better to carry water bottles and snacks with you. There are vendors who sell water, juice, buttermilk and some snacks around the site but as we climb up the hill burning sun and the hot weather makes us thirsty.